I had the opportunity to take a group of eighth grade girls to Camp Buckner this summer, and my friends had an incredible week. Grant Zeller, Kurt Cotter and Jessica Sims did a great job creating a program that was just right for middle school kids – from large all-camp activities to club games, they thought about their audience and planned accordingly. 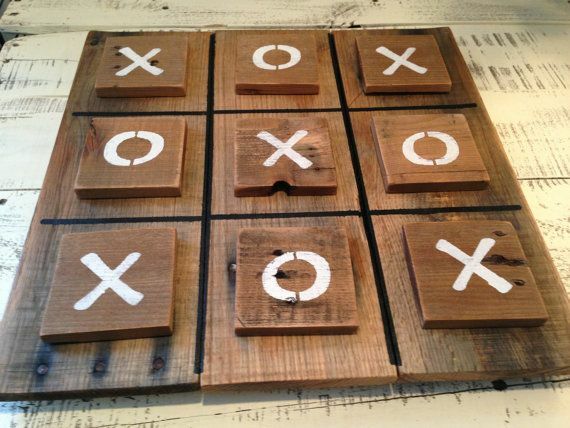 One of our kids’ favorite club games is one we can’t wait to try back at home – an updated version of Tic Tac Toe. They brought three girls and three guys to the stage for a classic battle of the sexes. At the back of the room, summer staff brought out a giant, plywood Tic Tac Toe board. (And I mean giant! I’m guessing it was at least 6 feet tall by 5 feet wide.) Each square had a piece of Velcro in the center. Instead of Xs and Os, the kids were given giant photos of the two program characters’ faces – again, giant! Probably almost two feet tall! Each set of photos included the character making different goofy faces and had Velcro on the back. When the game started, the first girl and guy took their faces and raced through the crowd to the back of the room to stick the giant faces on the Tic Tac Toe board. Then they raced back to tag the next person in their lines. The next contestants took their faces to the back of the room and the relay continued until one team got three in a row. If they ran out of “faces” without getting a Tic Tac Toe, the next person in line could move one of their faces on the board. The crowd cheered for their teams as they competed in several different rounds of the game. Even if you don’t have familiar program characters at club, you could do the same thing with photos of two of your leaders. Definitely a fun way to update a classic game and make it a crowd favorite.